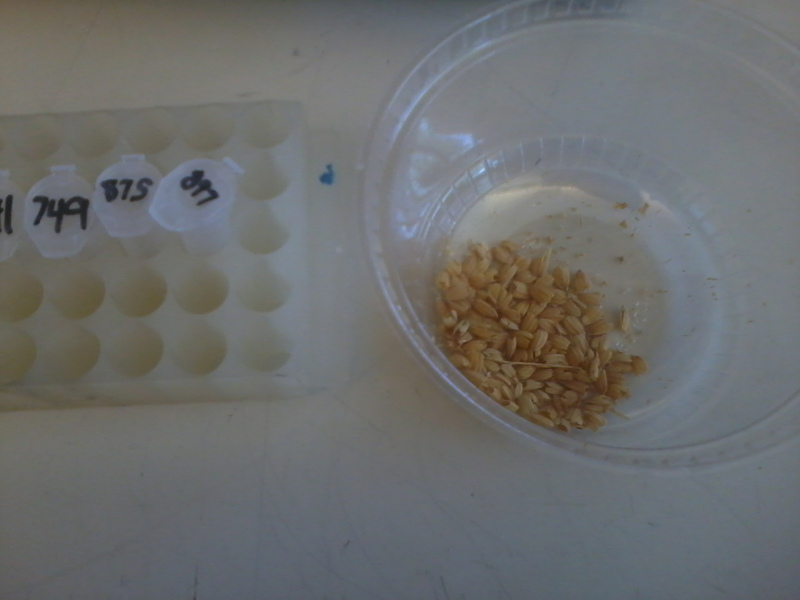 I was dehusking some rice seeds today in order to sterilize them. Rice seeds grow with a husk around them. After the husk is removed they look like the rice you buy in a store. Sometimes the seeds from a particular strain don’t grow right. The lack of growth often happens because a fungus infected the seed from the start. The fungus is removed by washing the seed. The husk needs to be removed first to ensure the seed is fully cleaned, just like you have to take off all of your clothes to ensure your body is fully cleaned when you shower or bathe. While I was washing the seeds in diluted bleach I talked with one of my friends in the lab about streaming Hearthstone. The oldest member of the lab besides the professor (I sometimes call him the lab fossil) overheard us and was curious about what streaming was. We described it to him and he was a little surprised that people would want to watch others play video games. He’s seen his son play first person shooter (FPS) games and he dislikes them, but not for the usual reasons. The lab fossil dislikes FPS games because they don’t match reality. He feels they teach people that if you die/fail you can just get a do-over where you try again. The real world and the real battlefield doesn’t work that way. If you die in real life, you’re dead. You can’t respawn, you can’t start over from the beginning. It’s over. He told us about when he was in the army for two years. All the time they would do drills and the drills were about staying alive. Not about shooting and killing others no matter the consequences to yourself like in FPS games. One of the first things the lab fossil learned is that if you hear gunfire, you should immediately drop to the ground (something people in gang neighborhoods already know). He told us that the way you survive a battle is by finding cover, not shooting your gun. He said bullets are heavy, you don’t want to waste them, you might need them later to survive. My past experience with army veterans is that they never want to talk about their experiences. Out of respect, I’ve never asked them to recall memories that might be painful for them. This was one of the first times I actually got to talk about war with a soldier, even if he’d never been actively deployed. This is so interesting! Thanks for sharing.